You want a party venue that is fun and unique, to wow the crowd and give them something to talk about? 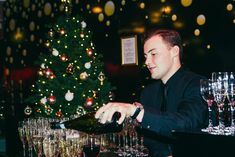 Look no further, we decided to compile our top 10 reasons as to why you should party with us Merlin Events at our top London venues: Madame Tussauds, SEA LIFE London Aquarium and the London Dungeon! 1 – You can ask our marine divers questions at the SEA LIFE London Aquarium whilst they swim with the sharks and you stay the other side of the glass and enjoy a drink! ‘Are you wearing any pants’ comes up quite a lot funnily enough. 2 – You can strike a pose with your favourite celebrities at Madame Tussauds, selfie central! 3 – In the London Dungeon you can eat real pies in Mrs Lovett’s pie shop whilst she tells you great stories of Sweeny Todd, she will lure you in with her crazy cackle! 4 – On arrival at Madame Tussauds you can board a taxi on the Spirit of London ride and learn about 400 years of London history in only 7 minutes! 5 – You can quite literally walk over sharks at the SEA LIFE London Aquarium! When you enter this great venue, you walk across our glass shark walkway! 6 – You can heckle at your colleagues in the dock at the London Dungeons as they get sentenced by our Judge! 7 – You can make your friends, niece or kids jealous by chilling next to Harry Styles at Madame Tussauds. Let’s be honest, One Direction are a guilty pleasure for a lot of us! 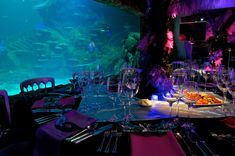 8 – Complete with Hula lei, sunglasses and deck chairs, the London Aquarium is the best summer party venue in London and the bonus is you don’t have to worry about the weather forecast. 9 – You can take the drop ride to doom at the London Dungeon, that’s after you get prepped in Newgate Prison. 10 – You can pretend you are on the balcony of Buckingham Palace by giving a royal wave at Madame Tussauds! Now tell us, where else can you do any of the above in this marvellous city? This blog was written by Emma Greenfield on Saturday 9th March 2014.